Cute mod fashions from Wow To Go and Who's That Girl. 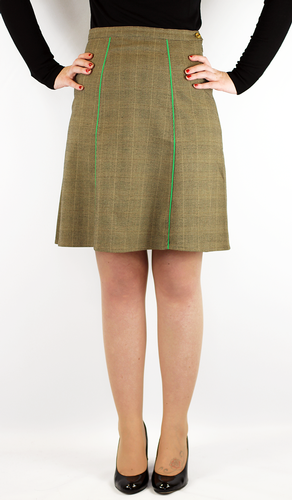 Retro 70s Vintage inspired tweedy style skirt in a Mod A-Line shape. 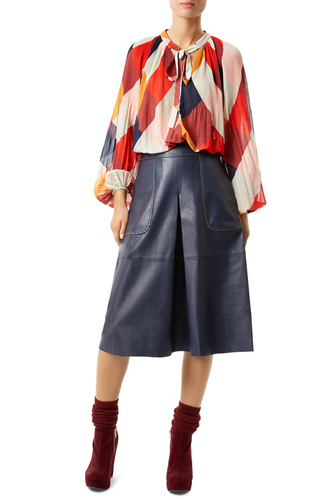 Classic fashions with a dash of old school kitsh, this cute Skirt looks fab worn with a vintage look jumper (why not try something like the Pepe Jeans 'Mer' Jumper?) or a snazzy new top. 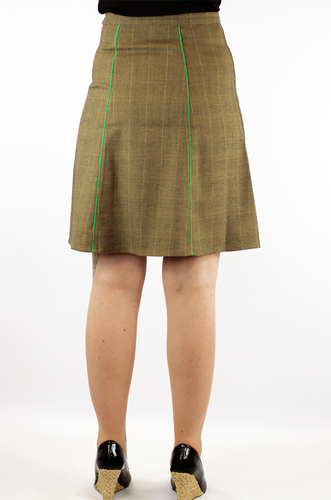 Wow To Go Retro 70s inspired A-Line Skirt in Tweedy style brown check and green piping trim. 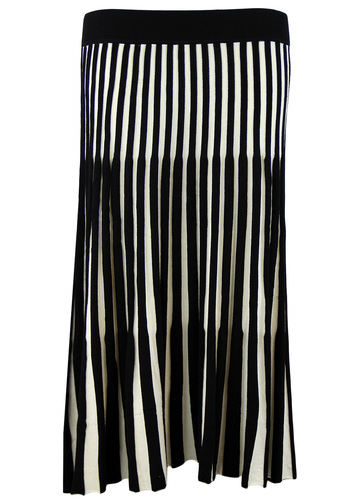 Narrow waistband with side button and concealed zip fasten. 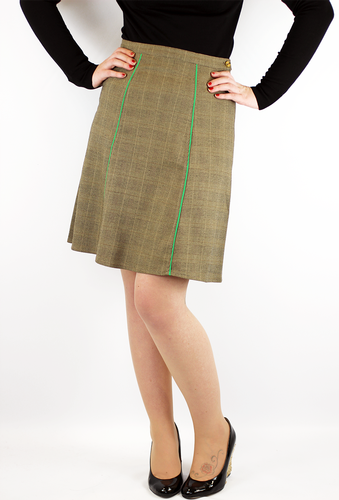 WOW TO GO 'BILLY' RETRO 70S MOD A-LINE TWEED STYLE SKIRT - Retro 70s A-Line skirt in brown check with green trim. 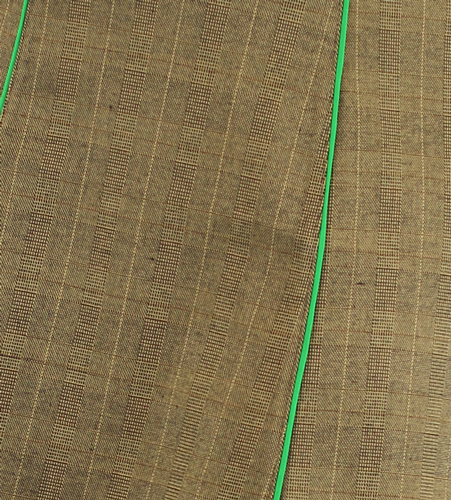 Side button and zip fasten. Unlined. 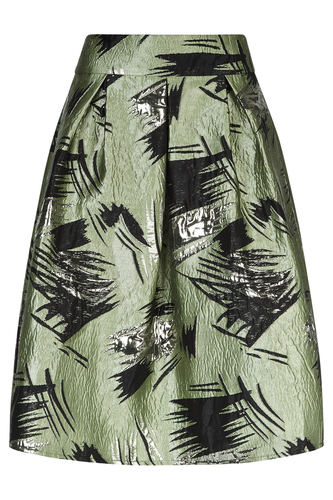 Composition: 66% Polyester, 32% Viscose, 2% Elastane. 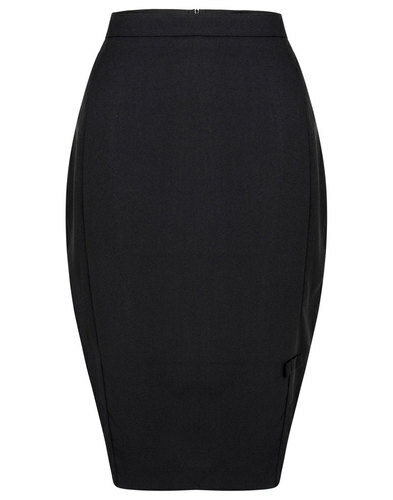 SKU: BILLY Wow To Go A-Line shape skirt. Approximately knee length.